No matter how old or young you maybe, I don't think anyone could or would argue that technology has changed us. Some might argue for the better while others for the worse, but the fact is technology is apart of our lives, its everywhere and its here to stay. Like my late grandmother would say, "You could learn to live with it or the whole world will run with it without you, so get with the times and get use to it!" The fact is in everything we do computers or some form of technology is there and its how most of us communicate with others or the people we love. But before technology became as advance as it is today, for centuries men and women from around the world has wrestled with this thought or question , is it okay to live their personal or professional lives in public for the whole world to see or in private where no one, not even their closet friend or relatives know whats going on with them behind closed doors. While in today's time everyone is into sharing, many post all of their daily events and while many others post their most intimate details good , the bad and the ugly on their social networks or platforms for the whole world to see, then judge. While you ponder what you just read, let me ask you a personnel question do you think a persons love life or relationship status should made available out in the open or online," In Public Or In Private?" Before you answer this question please keep these few facts in mind. If you allow others to be or get involved in your life, you will be judged, talked about and you will get some uninvited or unwanted advice! People in general enjoy telling others what to do with their life and also enjoy sharing your secretes with others or with people that you really don't care for. By keeping your personnel life and love life private you can grow , then flourish without any interference from the outside. One simple fact everyone should consider is that nothing good ever comes from to many people knowing your business. 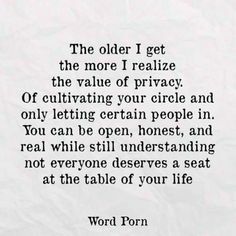 Being private and low key is always the best way to be. Where do you place your life, In Public Or In Private? Write in then express your thoughts or view's on the subject.